It can be a very lonely business running a business of your own with your only company being a very moody toddler so I’ve spent some time finding things that lift me up and support me through the difficult times. Sometimes it feels self-indulgent starting the day with a podcast or a magazine rather than getting straight to work but I’ve found that if I don’t take that time, I just end up flitting and refreshing email constantly and ending up frustrated and low at the end of the day, feeling like I haven’t achieved anything. So instead I’m taking some time out to listen, to read, to write and to set up the right place for myself mentally to move forward and create. I discovered this beautiful independent magazine through Instagram and have been stocking it since it launched. It is more of a coffee table book really and each issue is a beautifully photographed and wonderfully written celebration of the seasons. There is much more content beyond the printed magazine too though and every week, there are more lovely blog articles that sum up what slow living and creativity are all about and are full of ideas and inspiration. Amazing podcast that is just what you need to start the day! I am a huge fan of @me_and_orla on Instagram already and did her Instagram Retreat a while back (although I still need to finish it!) and have listened to all of her Hashtag Authentic Podcasts (another great resource for anyone using Instagram). This podcast is my new favourite though - it’s her and creative coach Jen Carrington chatting through letters sent in by people struggling with creative business issues, like an agony aunt column for small businesses that really tackles the things that keep me (and lots of others) awake at night. This is another fantastically supportive podcast I love to listen to in the evenings. Sas’s voice is so soothing to listen to and it feels like she’s a friend you’ve known for years and you want to sit and drink tea with her for hours and chat. She interviews inspirational and lovely women like Ray Dodd and Kyla Roma about what self-doubt is and how to overcome it alongside other key topics. I also really recommend going on one of her Write Yourself Home retreats to help identify what’s at the heart of you and why you do what you do and what’s holding you back. I’ve followed Hannah's beautiful blog for years and been inspired by how she brings nature indoors. I love her monthly “Wonderful things to make, do and celebrate” lists of seasonal ideas to make the most of what there is around you that month. Sign up for her emails to get a regular dose of happiness and celebration of all things nature-related. I was lucky enough to meet Hannah in person recently on her nature retreat The Nature Sessions at Elmley Nature Reserve and she was every bit as lovely, kind, inspirational and down to earth as she comes across on Instagram and in her writing. She is really open and honest about living with anxiety too which is something I suffer with a lot, and her sharing her experiences really helps me deal with that. 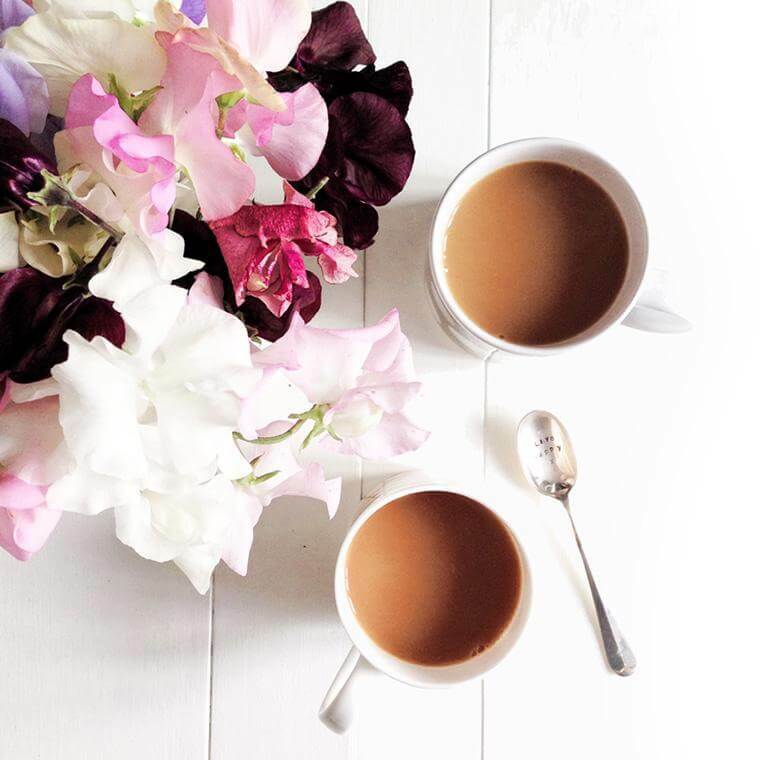 Melanie Barnes is the writer and photographer behind this lovely lifestyle blog that celebrates slow living, creative living and imperfections and focusses on being authentic and keeping things simple. 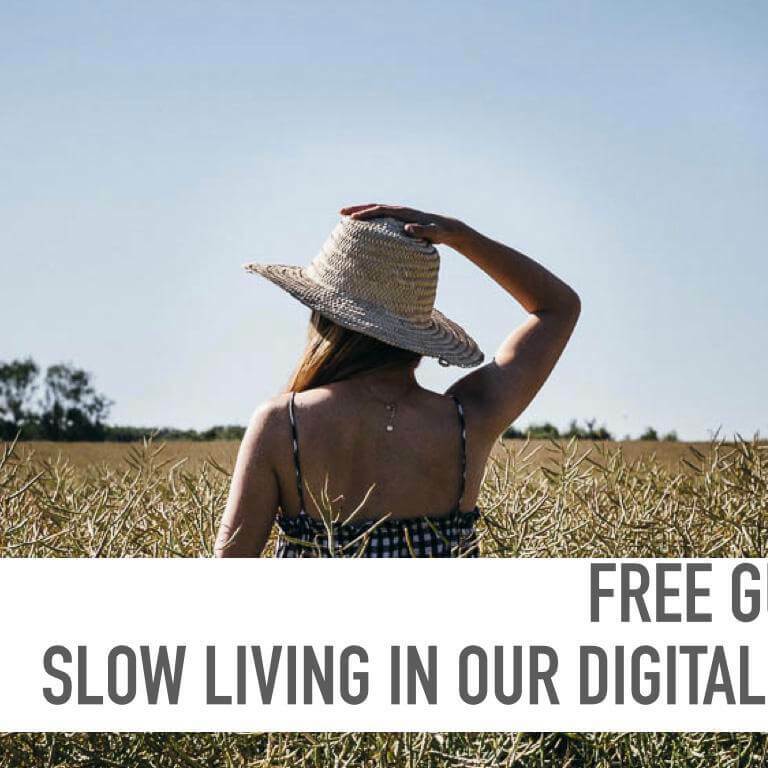 I really recommend signing up for her free slow living in our digital age guide too! She has a lovely Seeking Slow Facebook group for anyone in search of tips for living more slowly and looking for a like-minded community. Sometimes it feels like Lola Hoad who is One Girl Band must be listening to my thoughts, as just when I’m struggling with a particular issue around running my business, in pops an email to my Inbox from her with a solution to that exact problem or with her own experiences of it and honest sharing that makes me feel so much less alone! 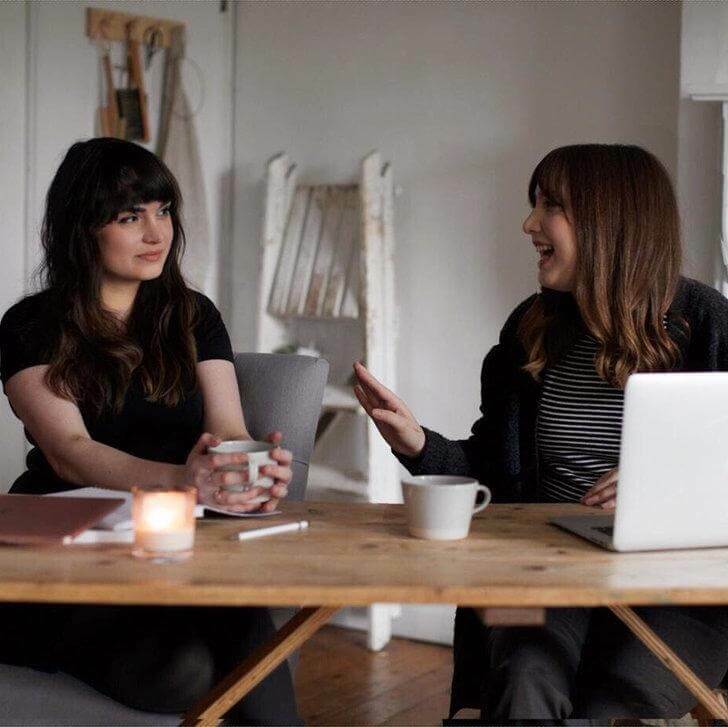 Her last newsletter was all about what to do when it gets hard and you feel like you’re business isn’t working which was exactly what I felt was happening at that point and I wasn’t sure how much longer I could keep going at it with no sales. One suggestion of hers was to just take a break, take a step back from it all and I had recently booked myself on to Hannah’s Nature Sessions retreat. That turned out to be exactly the break that I needed to feel renewed and nourished and ready to tackle it all again and I have had quite a few orders come in since then too so I feel like I’m back on the road again and focusing forward rather than back. This is another lovely soothing podcast for evening listening and perfect for someone like me who is a massive over-thinker and born worrier! Gabrielle is mostly saying things that I already know but sometimes you just need someone you don't know to tell you again. That's why counselling has been so great for me over the past year or so - it's a space to talk freely and share without judgement or bias and listening to podcasts like this are the space to listen freely and without judgement. She shares easy to put into practice tips to be more mindful and appreciate the now more rather than jumping ahead. If you have found any great blogs or podcasts that have helped you with running a business, creative ruts or just day-to-day living and trying to slow down, I’d love to know what they are! I hope you try some of these out if you haven’t discovered them already and that they help and inspire you too!